We have full service pricing available now - please see below for the venue rental pricing. Our full service prices include the venue rental, catering, beverage services and decor. The venue rental only pricing (below) includes 2 hours for setup, 4 hours for the event and 1 hour for cleanup. We are a unique, beautiful rooftop event venue in the Heights area of Houston. Events include weddings, parties, corporate events, receptions, baby showers, rehearsal dinners, bridal showers, bar mitzvahs, bat mitzvahs, holiday parties and other celebrations. 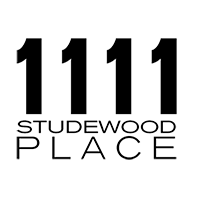 © 2017 1111 Studewood Place. All Rights Reserved.